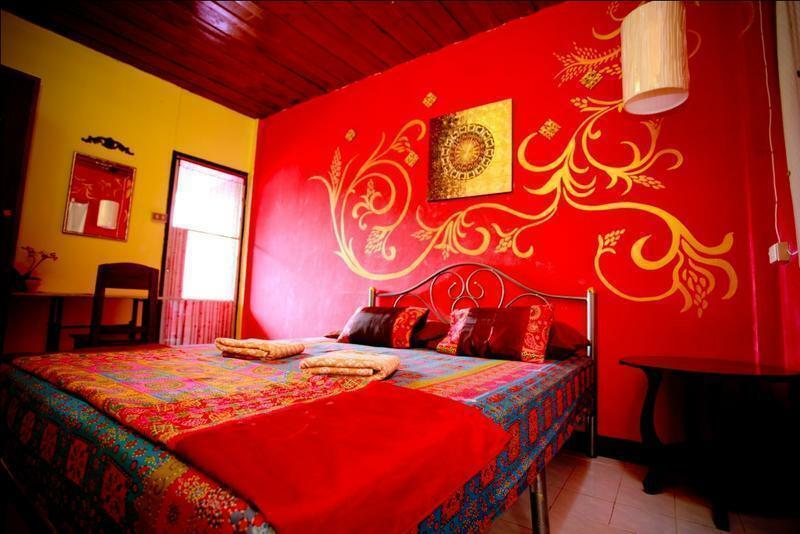 We are a tastefully designed budget hostel offering attractive and clean rooms. Every room has at least one window and strong WiFi signals are guaranteed throughout day and night in rooms or common areas. 6-bed dorm (3 x bunk beds) with 105x200cm mattresses, fan-cooled. Attractive and colorful rooms, queen-size (150x200cm)) bed or 2 x twins (105x200cm). An extra bed can be added to double rooms sleeping three people. Fan or air-cooled. If arriving after 2030pm, please drop off at Diva G.h, walk 30m to the little lane next to Mickey Cafe and then 60m into lane to Julie G.h. Please ask night guard for check-in at Diva and he will walk you back and guide you to the room. Next morning please come to see us at reception for further info. Diva Guesthouse, 84/13 Ratpakinai Rd., T. Prasing, A. Muang, Chiang Mai 50200 Thailand. Strategically located between Tapae gate and Chiang Mai gate in a backpacker area. Close to all the important cultural sites and between Saturday and Sunday walking streets.